For the second straight year, Georgia started off the year flaming hot. The Bulldogs began 2015 with four straight dominant wins, including a dominant win over Vanderbilt and a dismantling of another SEC East foe, South Carolina, which at that point looked impressive (looked less impressive when South Carolina finished up 3-9). However, much like the past few years, things unraveled quickly in Athens. 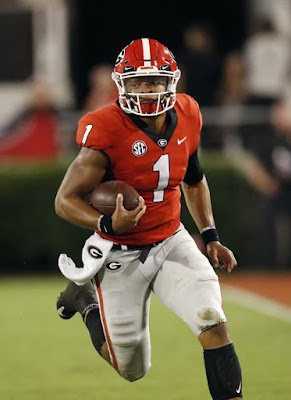 Star running back and Heisman candidate Nick Chubb suffered a horrendous knee injury, quarterback Greyson Lambert began to struggle and the coaching staff suffered constant drama. It contributed to 28-point loss to Alabama and in the end a 9-3 regular season mark. The frustration led Georgia to finally move on from Mark Richt after over a decade. Richt helped turn Georgia into a perennial SEC threat, but was never really able to take them over the top. They were consistently good, but not great and seemingly inches away from really becoming a true national threat. Enter Kirby Smart, Nick Saban's right-hand man at Alabama. Can Smart help take Georgia from a good program to a truly great one? 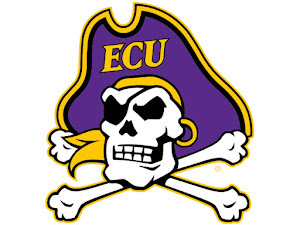 A great recruiting class and plenty of returning talent indicates a bright future, but it will not be a seamless transition. Backfield: The first big decision for Smart will be at the sport's most important spot: quarterback. The Bulldogs do have incumbent starter Greyson Lambert returning, but that doesn't mean the situation is solved. Lambert, a former Virginia transfer, started off pretty strong but then fell apart as the season wore on. He finished with numbers of 1,959 yards and 12 touchdowns, and seemed to lose confidence in himself. Although, he does have valuable SEC experience, is a player that should fit new offensive coordinator Jim Chaney's scheme, and at the very least, doesn't turn the ball over (two interceptions over 256 attempts last season). On the other hand, Georgia has a potential superstar in incoming freshman Jacob Eason. Eason has long been Georgia's big recruit in the Class of 2016 and the quarterback of the future in Athens. When Richt was fired, there was some worry Eason may decommit and possibly even follow Richt. But, the five-star prospect stood pat and very well could win the job. Eason has incredible arm strength and accuracy, and possesses much more dangerous mobility than Lambert, although Lambert can make plays at times. It will be hard to get a read on who Smart will choose as his quarterback as he begins his reign with the Bulldogs. But, my bet is on Eason. He enrolled in school in January so he could learn the playbook, and Georgia will be smart with how they use him. The other backfield mates with Eason are two wonderful running backs, but one carries significant questions. Before suffering a horrendous knee injury earlier in the year, Nick Chubb may well have been the Heisman frontrunner. Chubb, who filled in for Todd Gurley two years ago, showed just how dominant he could be as the No. 1 runner. His injury deflated Georgia, much like how Laquon Treadwell's deflated Ole Miss' team two seasons ago. Chubb's injury was so bad, there was even question about whether he would be able to play football again. However, Chubb has been working hard to get back to full strength this offseason. He may not be 100 percent by kickoff (September 3rd against North Carolina), but he could see action in the opener. Depending on what happens, he has the chance to start very early on. If he can get back to his old self, the Bulldogs' offense will be scary, considering who else joins him in the backfield. 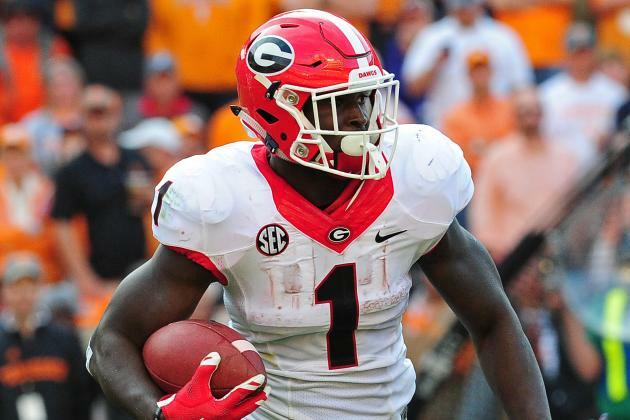 Fellow junior Sony Michel quietly steamrolled to 1,161 yards and eight touchdowns after taking things over. Contrary to Chubb's power and bruising running, Michel is quicker and more lethal in the open field. Chaney and Smart will be quick to switch up carries and keep these talents fresh. Receivers: While the Bulldogs' backfield is stocked with talent, their receiver corps is a relative question mark. There is plenty of talent in it, but no proven No. 1 weapon to lead the way. Technically, the leading returning receiver is sophomore Terry Godwin, who certainly has the potential to have a break year. Godwin had 35 catches for 379 yards a year ago and offers reliable hands and plenty of explosiveness. Joining him will be junior Isaiah McKenzie, who has the chance to have a breakout year. McKenzie is an important player; can he step up from a wide out who had just 10 receptions in 2015, to Georgia's top playmaker? McKenzie is just 5'8", and may struggle against larger defensive backs, but he has top level speed and is a proven route runner. Along with Godwin and McKenzie will be senior Reggie Davis, who showed he could make plays last season as well. Davis had 12 receptions for 187 yards and one touchdown a year ago, and brings plenty of experience. None of the three are proven commodities, but the trio does bring experience and have showed they can stretch the field during spring. Expect four-star recruit Javon Wims, a prospect out of Mississippi, to see action as well. The 6'4" freshman has terrific size and exceptional athleticism to make tough catches. Tight end could be a significant strength for the 'Dawgs, thanks to the return of junior Jeb Blazevich. Blazevich also showed that he was a great pass-catcher in spurts last season, but still lacks consistency. He will use his great size and reliable hands to make plays, particularly in the red zone. Behind Blazevich will be true freshman Isaac Nauta, one of the big gems of Georgia's great recruiting class. Nauta comes from Bradenton, Florida, and is a consensus five-star recruit. He will likely see some snaps this season, but his future is extremely bright. Offensive Line: Although they lose two tackles on the offensive line, the Bulldogs could still find a strength on the offensive line. Two great tackles, John Theus and Kolton Houston, graduated this offseason, leaving two massive holes at very important positions for Georgia. The favorite to start at right tackle is senior Greg Pyke. Pyke has the versatility to play guard or tackle with ease, even likely more comfortable at guard. He is great at each because of his athleticism and excellent footwork that allow him to find defenders and open massive lanes. Up the middle, the Bulldogs possess an All-SEC center in senior Brandon Kublanow. Kublanow is a great run defender and can open up lanes in the interior for Michel or Chubb, and Kublanow is especially effective in short yardage situations where he gets great push. The third and last returning starter to the unit is junior Isaiah Wynn, who will lock down the left guard slot most likely. Wynn brings great energy and power to the unit and he will also help open some opportunities for Georgia's talent in the backfield. There is no clear candidate set to take over at left tackle, which is worrying with a young quarterback likely starting at QB. Sophomore Kendall Baker is likely the favorite, while junior Aulden Bynum will also fight for snaps. It will be interesting to see which of the true freshman get playing time. One of the big name recruits to join the unit is Ben Cleveland, a guard. Cleveland is an in-state pickup to Smart and staff managed to reel in from other strong SEC schools. Also joining the roster is three-star pipeline gem Chris Barnes, a natural at tackle. Defensive Line: Overall, Georgia's rush defense was extremely scout last season, even by exceptional SEC standards. What is promising is that while the D-Line and linebackers may lose some pieces, this unit could be even better in 2016. Sophomore Trenton Thompson has to be looked at as a breakout candidate. Thompson can beast at either defensive end or he has the size to mix it up at defensive tackle. Thompson had just 25 tackle and 2.5 tackles for loss but he has looked great in the spring. The Bulldogs will have questions at defensive end without solid pass rusher Sterling Bailey making plays. Bailey was a great run defender throughout his time with the Bulldogs, evidenced by his 46 tackles a year ago. The 'Dawgs are hoping that guys like sophomore Jonathan Ledbetter can step up and take over the end spots. 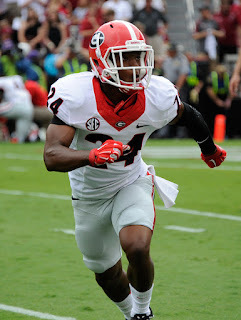 Ledbetter was little used last season but has the athleticism to become a force off the edge. Fellow sophomore Michael Barnett is going to force for action at either end spot as well. The interior of the unit is going to be home to junior John Atkins, a bulky presence in the middle. Atkins weighs in at 300 pounds, which isn't huge, but still finds ways to overpower blockers. He is still improving as a player however, and also did not see a whole lot of action a season ago. Smart and his coaching staff did a great job in recruiting along the defensive line, headed by Chauncey Manac. Manac is yet another player the Bulldogs managed to keep in-state (which is very crucial in the wild world of SEC recruiting) and comes in as a four-star recruit. Versatile Julian Rochester is from Powder Springs, Georgia, and may have the best chance to get serious playing time as a freshman. Rochester is extremely versatile, he can make plays at either end or at tackle, which makes him extremely valuable. Rochester is huge, weighing in at nearly 330 pounds which allows him to plug gaps on the line of scrimmage. However, he does have excellent speed and agility for his size, so Georgia will be creative with how they use the young talent. Linebackers: The position group that lost the most this offseason wasn't the offensive line, it was at linebacker, particularly dynamic edge rushers. Leonard Floyd was excellent throughout his career in Athens, and had his best year yet in 2015, with 72 tackles and 8.5 tackles for loss. Floyd's size and explosive first step saw NFL scouts fall in love with his vast potential and he went early. Jordan Jenkins is also gone, but didn't get the hype from NFL scouts he was hoping for. Jenkins was a consistent playmaker off the edge himself, with 58 tackles and four sacks a year ago. Those two leave Georgia without a lot of experience on the outside, making them very vulnerable. Likely to step up in a big way is junior Lorenzo Carter. Carter was a former big-time recruit two years ago with Mark Richt, and has seen some action. His 6'6" frame, long arms and wonderful agility seemed to indicate a star on the rise, but he hasn't been just yet. With the right amount of playing time, he can showcase his wide range of talents, likely locking up one outside linebacker position. Senior Tim Kimbrough might not have the ceiling of a guy like Carter, but he brings consistency and experience and the Bulldogs know they are getting a strong run stopper. Kimbrough had 62 tackles and 4.5 TFL in 2015, and he should get even better this year, in his second year of action. Junior Reggie Carter is probably going to join Kimbrough at inside linebacker. Carter has along way to go because he was so little used last season, but he has looked like a star in the spring. He will compete with sophomores Natrez Patrick and Roquan Smith for inside linebacker snaps. The other favorite to take over at outside linebacker is junior David Bellamy. Bellamy has the looks of a pass rusher off the perimeter; he is 6'5" and powerful and moves so great laterally. Bellamy had 33 tackles last year and is actually Georgia's leading returning starter in sacks with three, which is pretty worrying. However, new defensive coordinator Mel Tucker has been known to be aggressive and more physical than Grantham, his predecessor, who clashed with Richt throughout his time with the 'Dawgs. Secondary: Georgia has done a great job recruiting high quality secondary players, and it should be a significant strength heading into 2016, especially considering it was the No. 1 pass defense in the country a year ago. Junior Dominick Sanders has the chance to prove to the rest of the SEC just how good he can be. There are a lot of great defensive backs in the SEC, but Sanders may be the most proven returning. Sanders is a legitimate stud, with six interceptions last year along with 48 tackles. Sanders is set to lock down the free safety spot for the foreseeable future, and you have to be excited about what he could do this year. The other safety slot is going to great as well, with senior Quincy Mauger returning. Mauger had 58 tackles himself last year, with five pass deflections. It generally is not a good sign when a secondary leads the team in tackles, but these two guys proved that theory wrong, they were just aggressive ball hawks. Cornerback isn't quite as solid of a position for Georgia, but it won't be much of an issue either. Junior Aaron Davis has the chance to be very good, possibly even locking down the No.1 cornerback spot. Junior Malkom Parrish is very, very good as well and should earn a starting gig. Parrish wasn't quite the interception machine that Sanders was last year but still managed two picks. Parrish may get pushed around because of his size, but opposing quarterbacks still don't want to throw in his vicinity because of his ball skills. Junior corner Rico McGraw and sophomore Juwan Briscoe provide plenty of depth to the unit. Neither Briscoe nor McGraw have seen a ton of action, but have the talent to shut down opponents. The 'Dawgs also got a huge commit in five-star athlete Mecole Hardman, who Smart managed to land just before National Signing Day. Hardman can play any number of positions well, and is blessed with incredible versatility. His most natural position, however, is at cornerback, where his future is extremely bright. It will be interesting to see if he can get any action; if not, he learn from the veterans inside this unit. Special Teams: Marshall Morgan finally moves on from Georgia, graduating as the SEC's third all-time leading scorer. His replacement will most likely be redshirt freshman Rodrigo Blankenship, who has loads of potential. Junior Brice Ramsey, who saw action at QB last year and will be competing for the starting job, could lock down punter duties. As usual, talent is no issue in Athens, Georgia. The Bulldogs have a backfield with two All-American candidates, an offensive line that should still be pretty powerful, and a secondary that should shut down opponents. Though, that doesn't mean Smart won't endure some issues in his first season as head man. Quarterback remains very unsettled, and the passing game as a whole looks like a problem, which isn't a good thing in SEC country. Even so, the Bulldogs have a pretty favorable schedule, and the ground attack has proven it can lead them before. While an SEC East crown may be team to grab considering how strong Tennessee appears, Georgia should still be in good position for double-digit wins and a quality bowl, which would certainly be a strong debut for Smart.